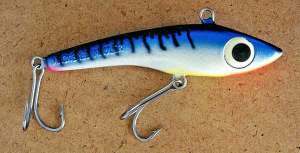 The original Elliot’s Mackerel Mauler came in two sizes 13cm (5″) and 18cm (7″). It had strong cadmium plated treble hooks which have been replaced with stainless steel doubles on the original Elliot’s version shown here. Note the extra large eye regarded by many anglers as improving the lure’s effectiveness considerably! The Mighty Mackerel Mauler was originally released back in the late 1980s by Elliots. 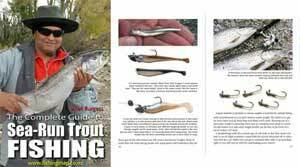 More recently the Australian lure company Halco purchased the design and have made some improvements to the lure before releasing it as the Halco Max in 2007. The new version has smaller eyes and a slightly more slender shape. The new version is also designed for casting, jigging and trolling at up to 12 knots and comes in 9 different colours. The new Halco Max is 130mm long and weighs 80 grams. The modern version is heavier and more compact and therefore more suited to casting than the original Elliot’s version. This makes the Halco Max an ideal lure to have attached to a rod sitting in a rod holder so that it will be immediately to hand should tuna or kingfish suddenly appear around your boat. The Halco max is made from hard polycarbonate – not from lead. The excellent Halco Max released in 2007 is more versatile than the older Mighty Mackerel Mauler being better suited to casting, as well as high-speed trolling up to 12 knots. It comes pre-rigged with two 2/0 Mustad treble hooks. Please note that although this picture is smaller the two lures are the same size at 130mm in length. Both the Mighty Mackerel Mauler and Halco Max have heavily weighted heads and are designed to run fast and deep for targeting fast swimming oceanic tuna, kingfish, giant travelly and wahoo. 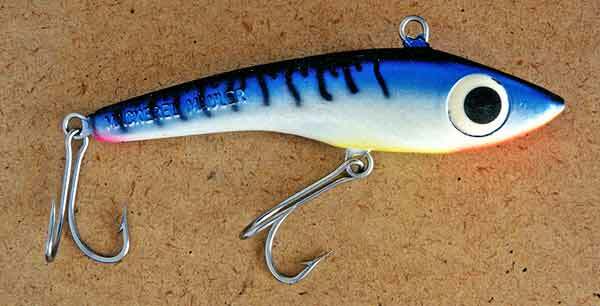 It is a straight running lure making it an ideal choice for multi lure trolling. Bibless Mackerel Maulers can be trolled at speeds up to 15 kph. Able to run effectively at speed either version is a great lure to troll when heading from one fishing spot to the next. A bibless design has the advantage of making it unnecessary to tune the bib after it has been bent and mangled by a big fish. Many experienced game anglers dislike bibbed lures because of their tendency to cross, particularly when turning, causing horrid tangles. The main advantage of bibbed minnows is that they can dive very deep without the aid of a downrigger. The Mackerel Mauler runs nice and straight and produces a rapid shimmy motion that is very attractive to fast swimming predators.